The Supreme Court (SC) Public Information Office offers free guided tours of the Supreme Court for students, teachers, and civic or religious groups. Court tours are scheduled by appointment on Wednesdays and Fridays between 9:00 a.m. and 3:00 p.m. Tours usually take one to one and a half hours. The SC is closed on Saturdays and Sundays. You may send your request at pio@sc.judiciary.gov.ph. Indicate your preferred date of visit, the contact number of the contact person, and attach a list of the names of members of your group. For further inquiries, you may contact our office at telephone number (632) 522-5094. 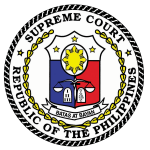 Court tour participants may enter the Supreme Court through the main gate along Padre Faura, located between the University of the Philippines (UP)-Manila College of Arts and Sciences and the Department of Justice. Please be informed that the Supreme Court does not have parking spaces for buses. Parking for other types of vehicles is on a case-to-case basis, depending on the availability of parking. What does the Court tour consist of? The participants of Supreme Court tours are usually brought to the Dignitaries’ Lounge, the Division Hearing Room, the Gallery of the Chief Justices, and the En Banc Session Hall. They are also shown a video presentation about the Supreme Court’s history and its functions. The tour ends with an open forum, where participants may ask questions about the Court except as to pending case. Be prepared to pass through security screening at the lobby as your point of entry. All items must be screened by the Security Guard on duty. Be prepared to pass through security screening at the lobby as your point of entry. Submit your bags and other belongings to the security guards on duty for inspection. Wearing of school identification cards (IDs) of student visitors is strictly implemented. No ID, No Entry. Other visitors must surrender their IDs to the security guard on duty in exchange for a visitor ID. Please wear your IDs at all times. Observe proper attire. Shorts, miniskirts, sleeveless tops, and other inappropriate attires are strictly prohibited. Wearing of hats and slippers is also not allowed. Keep in mind that the Supreme Court is the highest court of the land. Hence, let us show respect to the institution. Please observe proper decorum at all times, as chambers of the Supreme Court Justices are adjacent to the tour areas. Audio/video recording is not allowed during the film showing. Food and beverages are not allowed in the tour areas. Sitting on the Justices’ seats inside the En Banc Session Hall is not allowed.